← Nervous, scared, anxious. I need peace today. The day before I was admitted to the hospital in Florida, I went on a roller coaster at Disney’s Animal Kingdom. That, in itself, was a victory. In January of 2009 I weighed 293 pounds during our family vacation in Orlando. I had all I could do to keep up with my kids. I opted out of the thrill rides blaming it my back being sore. The truth was that I just didn’t want the embarrassment of not fitting in the seats or needing to use one of the oversized seats. But this year, after two years of diet and exercise I was at 245. I knew I would fit. So, for the first time in five or six years, I strapped in next to Robin for something I loved in my past. Now, I see that Expedition Everest roller coaster being a lot like the emotional roller coaster I am on with my liver disease. The story of Expedition Everest is that we headed out in search of the Yeti. We quickly discovered that the monster was not at all happy to have us in his territory. He attacked with everything, ripping up the track we were on. We speeded backward in total darkness having no idea when we would be jerked right or left or feel the bottom drop out down a steep dip. We held on screaming. I feel like I am still on that ride. I hang on while I’m being thrust this way and that in total darkness. I go from appointment to appointment hoping for good news. Some days I feel great and the ride is so smooth that I forget it is a ride. Other days I face my weakness and my diseased liver like it is the Yeti tearing up my track and sending me hurtling in a different direction. On Monday I met Dr. Amy Tien at the Lahey Clinic. Her sweet spirit and gentle mannerisms set me at ease. I was so nervous that I hadn’t eaten all day. I had tried to prepare myself for the huge drop of, “you need a new liver now.” But, really, can you prepare for that news? Instead, Dr. Amy’s words were flavored with hope. She told me that she didn’t see me as an emergency case. She confirmed that I have time … maybe a good amount of time. I cried a flood Monday night while my family slept. Not sad tears. Not particularly happy tears. Tears of relief and emotional exhaustion streamed down my cheeks. A celebration? Yes! Am I out of the woods? No. Cirrhosis does not go away. There is no cure for NASH. The Yeti appears to have retreated but, apart from a miraculous healing, he will reappear in all his furry ripping up track wherever he finds it. I need to have an MRI in the next couple months and I need an ERCP to make sure the veins in my esophagus are not about to rupture. I also will need blood tests and a chest xray for my lungs. I can’t pretend things are normal. This is my track now. I am so glad to have my faith. I’m so glad to know that my God is walking with me and will give me strength. And, as stupid as it might sound to you, my relationship with Jesus is worth more than my life itself. I’m not mad at God. I’m strengthened by Him. I am determined to show the grace He has given me regardless of how difficult my situation. Think I’m nuts? Yeah, I understand but I would love to convince you otherwise and show you why I have this faith. The Yeti is out there. I hear his breathing. I feel the pressure of mounting medical bills, our house that still has not sold and my own limitations, but I know who holds my future. This entry was posted in Christianity, chronic illness, discouragement, facing death, Fatty Liver Disease, Find God, gospel, Jesus, NASH, organ donation, peace, religion and tagged cirrhosis, ERCP, faith, Fatty liver, hope, Lahey Clinic, Liver disease, MRI, NASH, organ donation, pastor, transplant. Bookmark the permalink. Excellent news, Scott. So your blog is far reaching, Marion and David in Missouri have you on the prayer list at their church as does Mariosn’s daughter in Colorado. So how do you use your phone to link the ipad anyway! You are so right Scott. But now you know what you have to work with. We work with all his wonders and time before “God says KIDS IT IS TIME TO COME HOME” Make today and everyday the best day of our life. Praise the LORD for the gift of time! Great news!! Now I am praying for you to have vibrant good health, strentgh to fulfill the plans God has for you, and joy. I am so happy for you that the news yesterday was ‘not now’. That is good news. I’m glad Dr Tien handed you hope. So glad! Transplant surgeons (in my experience) trend to be plain-spoken realists, even if their manner is gentle. They don’t sugar coat. So, I was whooping it up for you and thanking God at yesterday’s news. It is soooo good that you have already been working on improving your overall health. Keep at it. I remember the transplant team@Stanford telling us that to be listed, Amelia would need to be ‘sick enough to need a transplant, and well enough to survive’. I’m praying you never get sick enough, and if that isn’t our Father’s plan, I want you to be well enough to THRIVE. I’ll keep praying and praising. This posts hits home for me. 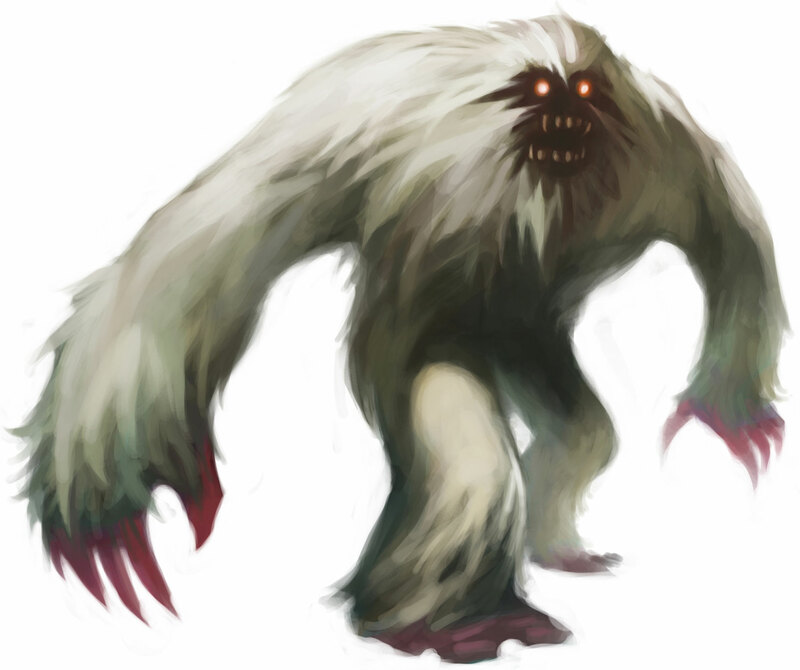 Never thought of the yeti as an example, but he is very much like the beasty liver disease! Tomorrow marks my 1 year listed for a new liver. I have been stable the whole time. Every appointment I prepare for the worst. My mind races at every pain in my abdomen. Thank you for writing this! Keep on keeping on. Make the most of the good days! Sending my thoughts and prayers!